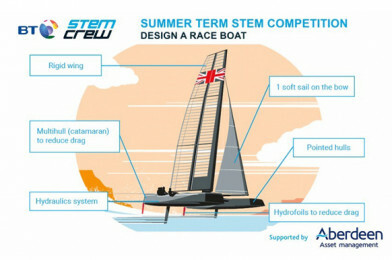 Bring the excitement of the America’s Cup into the classroom via the BT STEM Crew, Summer STEM Competition – design a boat to compete! The competition is free to enter and there are numerous teacher resources available. Your whole class could win a trip to the Tech Deck and Education Centre at Land Rover BAR, meet a designer and try sailing – plus there’s a tablet computer for your teacher. If you have children aged 11-14, pass this on to their school.